I am Steve Moss, owner of Moss Harp Service. I am also the producer of Harp Care with Steve Moss, the first only DVD covering every aspect of harp ownership, from tuning and cleaning to replacing strings and transporting your harp safely. Learn more here. I offer full service regulations on all makes of pedal and lever harps. I am a member of the Lyon & Healy/Salvi Technicians Guild, and authorized to perform warranty service on Lyon & Healy and Salvi harps. I am also Camac Certified, and have received training in the Camac workshop in Mouzeil, France. I have been servicing harps since 1995, both at the Lyon & Healy workshop in Chicago and as an independent technician. Steve Moss has been regulating and repairing harps for over twenty years. During his eight years with Lyon & Healy, he trained and worked with Master Regulator Peter Wiley. 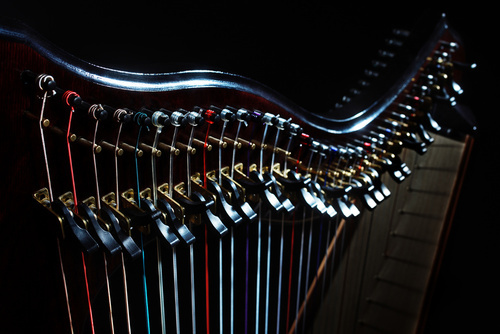 Want to receive the Harp Herald, a monthly newsletter with informative articles on harp care, changing strings, moving, and more? Playing the harp demands a large investment of your time, money, and energy. 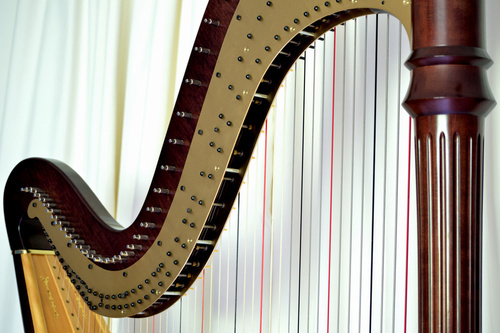 Your harp deserves the highest level of professional service. 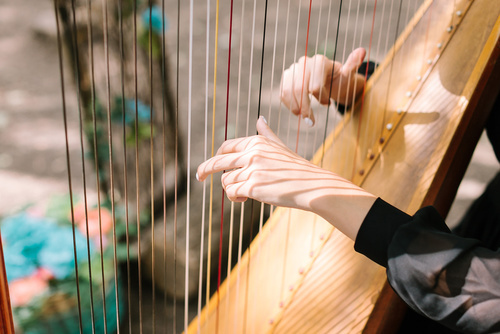 At Moss Harp Service, it is my goal to care care of your harp’s needs while providing you, the harpist, with the best customer experience I can. I service harps across the United States. Please check my calendar to see if your area is listed. If not, please contact me. If there’s any way I can help you or refer you to someone who can, I’ll be happy to do so. Got a question about harp regulation? How to change strings? Click the “Resources” link above for videos, articles, and more. I look forward to working with you, and to answering any questions you might have about your harp. Please join my mailing list to keep in touch.